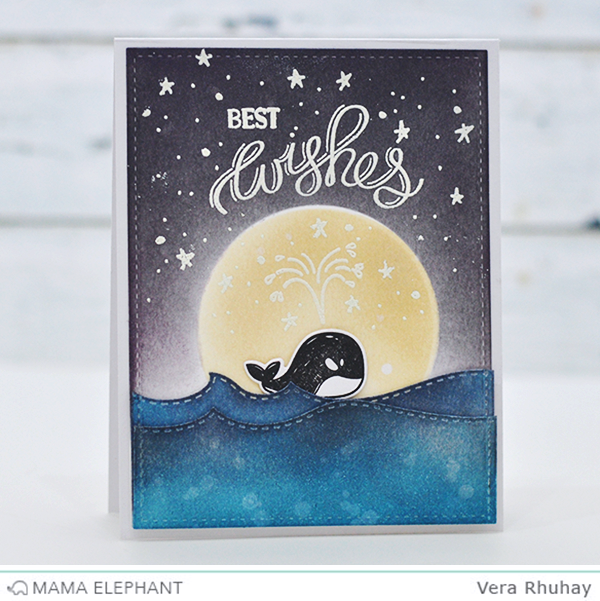 I have a card to share with you featuring Whale Wishes and Ocean Waves Trio. Here's a video to show you how I created my card from start to finish. Lovely card! Thank you for sharing your design process! Super card with such an incredible background! Wow!!! I adore the way you create your card...very inspiring! Thanks for sharing! This is darling!!! 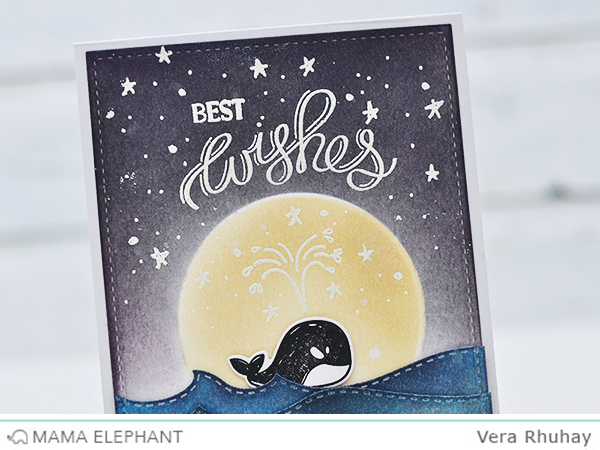 I esp love how you put the whale spout right up against the moon ♥ I'll bet the recipient will just oooh and aaaah over this beauty of a card!! !